Overall Impression: While this cup is super easy to open, it may be too much pressure for those who have sensitivities to the extra pressure. If you don't have sensitivities and would like a cup that almost opens on it's own, this is a good option. Overall, it's well made even if a cup may have some extra little pieces of silicone on the seams. 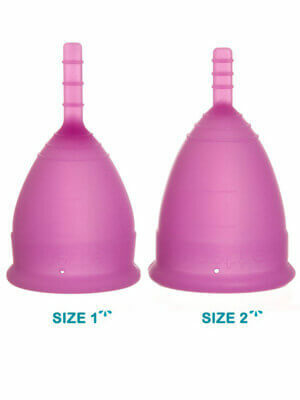 This cup is a good size for days with discharge, spotting, or light flow, or for someone with a medium to low cervix.